Yes that’s right! iPhone developer and hacker ih8sn0w has released an updated version of Sn0wbreeze which finally brings support for jailbreaking Verizon iPhone 4 on iOS 4.2.7 untethered! Well, after i0n1c released his untether exploit for 4.3.1, Apple shortly pushed out 4.3.2 AND 4.2.7. i0n1c’s payload was ported over to 4.3.2 in a short period of time but not 4.2.7. This made Verizon users very frustrated. 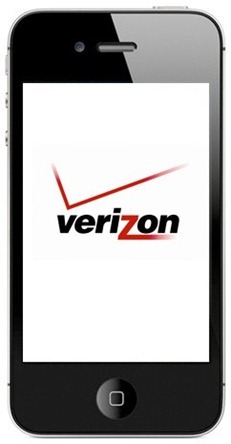 I originally ordered a Verizon iPhone 4 for my upcoming SHSH blobs dumper. Then I + many others on twitter realized that an untether was not available for 4.2.7. Over the past few weeks, I’ve been sick and didn’t do much, but today I was finally able to get the strength to work on this Verizon untether. Since i0n1c’s payload is not easily reversible, I went to previous exploits. After trying, pod2g’s + posixninja’s kernel exploit for 4.2.x is STILL in 4.2.7! After some more work, I managed to get this thing untethered! Wondering how to jailbreak iOS 4.2.7 untethered? Well, instructions for jailbreaking iOS 4.2.7 untethered using this new version of Sn0wbreeze are exactly similar to the instructions for iOS 4.3.2 (for GSM iPhone 4). Simply download Sn0wbreeze 2.6.1, and then follow our detailed step by step guide posted here (selecting 4.2.7 instead of 4.3.2 duh) to jailbreak Verizon iPhone 4 untethered running on the latest iOS 4.2.7 firmware. Mac user? no problem. Simply use Redsn0w (instructions here) to jailbreak your Verizon iPhone 4 tethered on iOS 4.2.7 (by pointing it to iOS 4.2.6), and then add http://cydia.pushfix.info to install “Verizon Untether for 4.2.7” package to get full untethered jailbreak!